By far, the leading cause of these holiday home fires is cooking equipment. Cooking equipment is involved in 72% of all Thanksgiving Day fires. By comparison, it’s the cause of 48% of residential building fires that occur on days other than Thanksgiving. These facts aren’t to scare you, but to make you aware of potential risks to keep you and your loved ones safe. Holiday fire safety is common sense, but during this hectic time we could all use a reminder. Here are a few tips to keep fire safety top of mind this holiday season. Yes, fried turkey is delicious. But we cannot stress enough how dangerous turkey fryers can be proper instructions aren’t followed. The National Fire Prevention Association strongly discourages the use of turkey fryers. Never use a turkey fryer inside, and keep it off of decks, out of garages, and a safe distance away from any structure. Set the fryer on a level surface and avoid moving it once it’s in use. Avoid overfilling the fryer with oil. Wear safety equipment, including goggles and oven mitts. If your turkey fryer does catch fire, DO NOT attempt to put out the fire using water. Keep a grease-fire rated fire extinguisher handy. No one wants to be chained to the stove during the holidays, but you must keep an eye on your food while it’s cooking. Stay in your home while the turkey is cooking, and stay in the kitchen while other dishes are on the stovetop. Don’t get distracted by the football game or the parade! Frequently check anything that’s simmering, baking or roasting. Also, be sure to turn all pot handles toward the back of the stove. If you’re cooking at high temperatures, turn off the burners before leaving the kitchen. Don’t keep the fire extinguisher close to the stove. It should be placed no more than 30 feet away, positioned so that you won’t need to reach through dangerous smoke or flames should you need to access it. 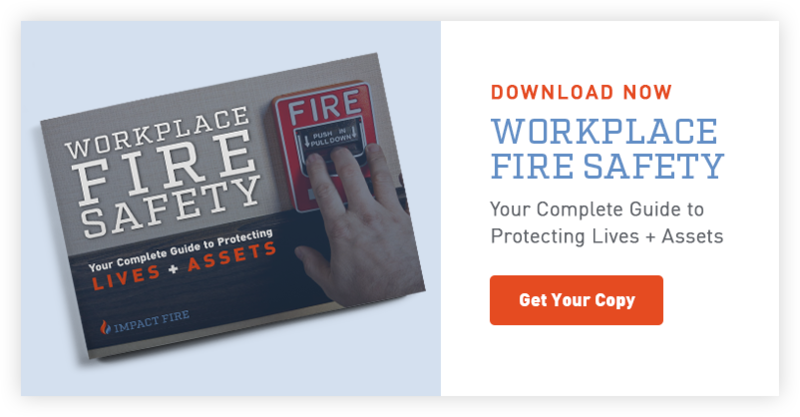 If you have a small kitchen, you may even need to mount the extinguisher on a wall in the adjacent room--as long as it’s easily accessible from the kitchen. Before all of the holiday cooking commences, be sure your fire extinguisher is fully charged and is not expired. 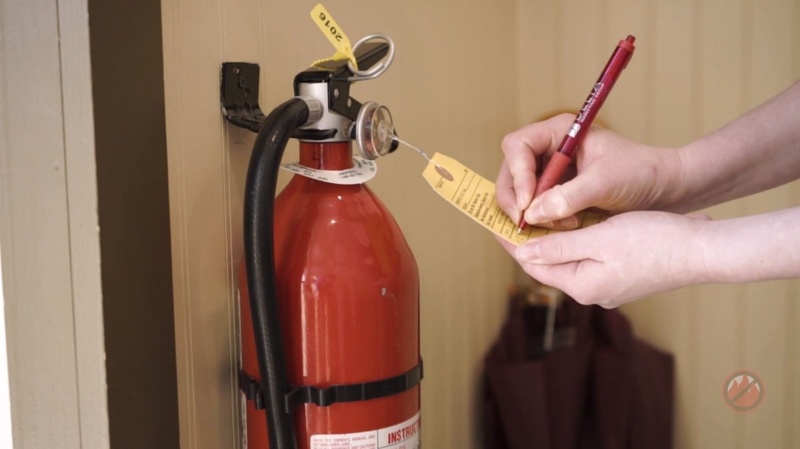 A fully operational fire extinguisher is a home necessity for this time of year.